Making 3D printers is a favorite activity of many tech hackers. Since the price of these printers varies around $1000, many tech hackers are creating 3D printers on their own, thus saving a lot of money. One of them, known as Jose Julio, decided to find out what other things he can create with a 3D printer. What he proposed was amazing. His daughter is a real enthusiast of air hockey. That’s why he decided to employ his love for robotics to create an Air Hockey Robot. 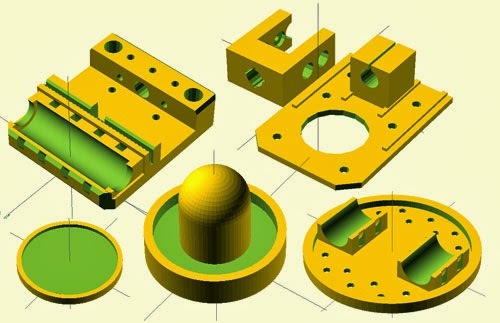 To begin with Jose employed basic 3D printer parts like NEMA17 Stepper Motors, Arduino Mega microcontroller boards, RAMPS, rods, belts, printed pieces and bearings. He claimed that their main value what their low price and easy availability. Julio’s chief merit is in developing not only an air hockey robot, but also the whole air hockey table. The robot contains 2 engines running Y axis and 1 that runs X axis. 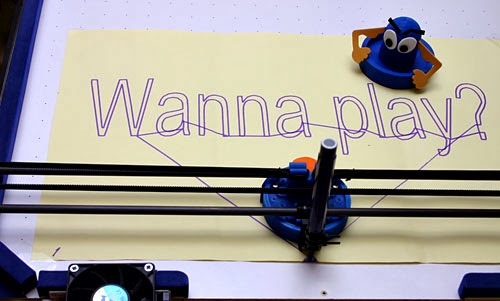 The software on which the robot runs was developed on Julio’s ideas after he understood that Marlin software, which used to be typical for a RepRap printer was not enough to do the job. 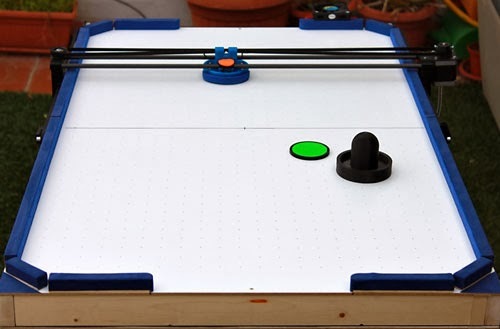 The electronic eye on the air hockey paddle was replaced by PS3 EYE Cam, using OpenCV autoloaders for catching, siftering, limiting, and fragmentation. The camera on the paddle identifies the puck of some particular colour, and forwards it to the computer through serial port. 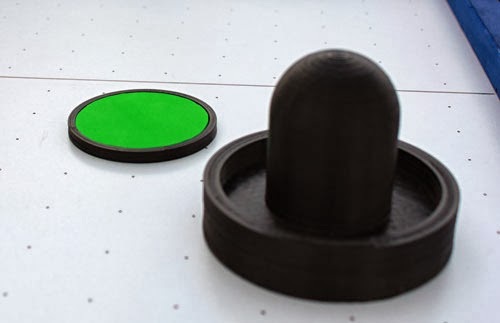 The computer system identifies the direction in which the puck is moving with the help of two successive frames from camera in order to identify the whole line of the puck. Then the computer is to decide how to move, whether to defend or to attack. So is this robot of any good? It might be difficult for a child to beat it, but an experienced air hockey play is very likely to win. But some small corrections to the code will make him almost impossible to beat. On Google Docs you can see the thorough building instructions of the whole robot together with the table. Difficult as the project may seem, Julio is sure it is not so. He is not completely done with this project, as he still has a few additions that he would like to make. Julio is thinking of creating a binary robot table, where robots will be playing against each other.